BlackBerry 9000 Rumors | BlackBerry Blast! 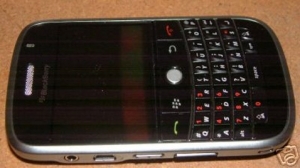 A recent Forbes article has caused more BlackBerry 9000 rumors to fly around the web. Forbes speculates that the BlackBerry 9000's release will be delayed until August because of call quality reasons, or AT&T's reluctance to launch the BB 9000 at the same time as the 3G iPhone. Nobody knows for sure, but it appears that Forbes took their notes from The Boy Genius. Check out the Full Story link below for BGR's rant on the latest Forbes news. Very interesting.